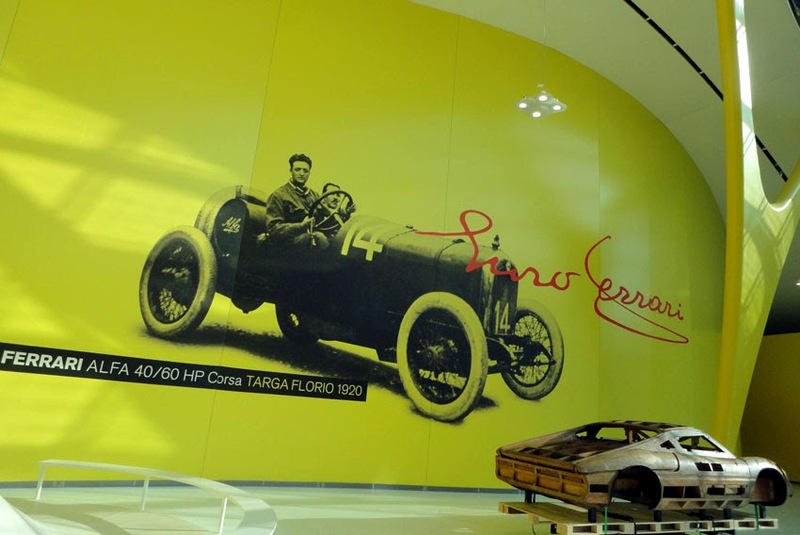 The new Enzo Ferrari Museum (MEF) has been opened in Modena by Luca di Montezemolo and Piero Ferrari, the son of the man who started-off the amazing story of a marque recognised as the strongest in the world. MEF was in recognition of the anniversary of Enzo Ferrari's birth on February 18, 1898. The new life of the spectacular museum has begun with the large and beautiful main wing: here, as well as seeing the most important cars in the history of the Ferrari driver, constructor and creator of the Scuderia, you go into a veritable 'time machine' that will take visitors through 100 years of history via multiple projections that will immerse the pubic in images, sounds and emotions. The 18 projectors weave together the history of Modena motoring, the story of Enzo Ferrari and his deeds and the world in which it all happened. Art, technology, design, battles and new hopes make up the setting for the triumphs of the great drivers and the most outstanding scarlet cars. The MEF, which has been entrusted to Ferrari by the Foundation owning the building - made up of the Modena institutions - Commune, Province, Chamber of Commerce and Automobile Club, with the significant support of the Cassa di Risparmio Foundation – further enriches the area's attractions that are already numerous, starting with the Ferrari Museum in Maranello. From today the two Ferrari museums, which are open every day of the year except for Christmas and the New Year, complement each other in a perfect way - in Modena there's the story of the man who created everything and the cars of his time. In Maranello there's the Ferrari of today and tomorrow, presented via a past of success on the track and the roads.